U.S. Sens. Tim Kaine and Jon Tester introduced the Protect our Gold Star Families’ Education Act. 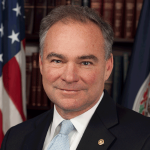 Sen. Tim Kaine challenged graduates to become better listeners during Virginia Commonwealth University’s spring commencement ceremony. Sen. Tim Kaine is introducing the CTE Excellence and Equity Act to support re-designing the high school experience. 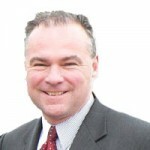 Tim Kaine has cosponsored a bill to strengthen educational opportunity in Rural Virginia. 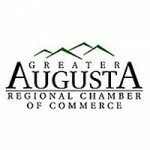 The Greater Augusta Regional Chamber of Commerce recently recognized outstanding high school senior students from public and private schools in the area. 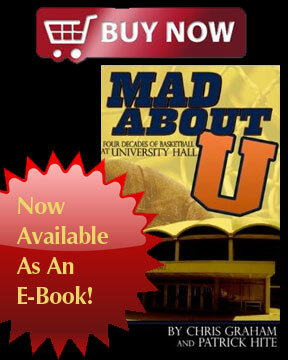 Getting the new online graduate degree, updating the existing trade, or getting additional courses to promote their careers – every student will have his own unique goal that is 100% achievable. Five senior education students from EMU were selected by education faculty to attend the Teachers of Promise Foundation Institute. 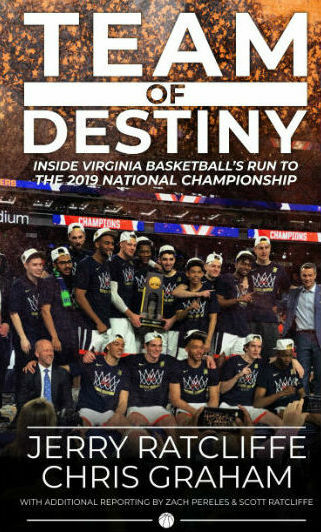 My first experience in Fairfax County came as a result of being placed as an intern teacher by the University of Virginia in Fairfax County Public Schools. Republican members of the Virginia House of Delegates on Tuesday outlined their legislative agenda to promote opportunities in education. Del. R. Steven Landes, R-Weyers Cave, today announced his legislative priorities, with a focus on economic development, education and health care. Governor Terry McAuliffe announced today a series of legislative proposals aimed at improving public schools and enhancing the workforce system. All too often we see the federal government intervening in the education system, adding more red tape and bureaucracy without benefit to the students. A team of researchers led by a Virginia Tech faculty member has received $1.25 million from the National Science Foundation to introduce computational approaches to help students learn chemistry in an environment that encourages scientific discussion. Time is running out to apply for Virginia Agriculture in the Classroom’s Teacher of the Year recognition; applications are due Dec. 7. Virginia Tech’s proposed School of Neuroscience promises to be a unique program in the nation, one that will study not only disorders of the brain, such as Alzheimer’s disease and traumatic brain injury, but also the mind itself, including decision-making, behavior, and creativity. 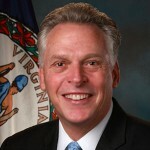 Governor Terry McAuliffe announced a strategic partnership with Complete College America, a national nonprofit, to increase on-time graduation rates, close attainment gaps and provide support for historically underrepresented students. Can text messages help assuage the phenomenon of “summer melt,” when students, mostly lower on the socio-economic spectrum, fail to enroll in college even after they have been accepted? We are told there is a pipeline in the United States that travels from our school system to our criminal justice system. Correct as the data corroborating the pipeline’s existence may be, it is a flawed way of conceptualizing the issue. There is no pipeline out of schools and into prisons, because schools and prisons in this country are not conceptually separable. Governor Terry McAuliffe announced this week a significant increase in the number of Virginia schools earning accreditation in 2015. 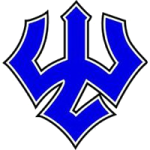 Last week, Waynesboro Public Schools had the Waynesboro Police Department on campus at Waynesboro High School for a sweep of the parking lot. ‘Twas a drug bust the school system was instigating. Against the backdrop of the official opening of its Center for Engaged Learning yesterday, Bridgewater College announced that the Center’s new Institute for Teaching and Learning will bear the name of its benefactors, Ben F. and Janice W. Wade, in recognition of their support and their service to higher education. Charter schools, for the libertarian establishment, are what passes for “free market reform” in public education. They’re regularly pushed by mainstream libertarian think tanks, and at Reason they’re topped only by Uber, right-to-work laws and defined-contribution pensions on the list of libertarian shibboleths. U.S. Sens. Mark R. Warner and Tim Kaine (both D-VA) praised today’s announcement by the U.S. Department of Education that Virginia will receive $17.5 million in funds under the Preschool Development Grants program to expand access to early childhood education. 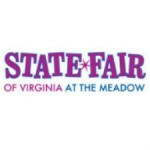 Students visiting the State Fair of Virginia as part of its Educational Exposition field trip program will have the opportunity to make a connection between wheat and bread, corn and cereal, cotton and jeans and much more. Eastern Mennonite University (EMU) may soon be hosting a cohort of teachers from Kosovo in the master’s of education program. Some 455 first-year students will be among the student body when fall semester classes begin Sept. 10 at Washington and Lee University, and a record percentage of them will receive financial aid. Shenandoah National Park invites all 4th-grade students to visit the Park for free as part of the White House’s new Every Kid in a Park program. A team of scientists led by Virginia Tech researchers has received a $950,000 National Science Foundation (NSF) grant to study the ways that ideas and behaviors are spread through large social networks like Twitter. Parents, grandparents and others with an interest in education have the opportunity to gift agriculture-related resources to an educator or a local school through Virginia’s Agriculture in the Classroom Adopt-a-Teacher and Adopt-a-School programs. The long-range “visioning initiative,” first announced in May, kicks into high gear this week. Virginia Tech President Timothy D. Sands has appointed a broad-based steering committee of faculty to guide the effort to rethink the university of tomorrow. Virginia Tech is welcoming approximately 8,800 new Hokies this year — which includes 1,500 graduate students, more than 6,300 freshmen and 1,000 transfer students. Bridgewater College welcomes 12 new full-time faculty members for the 2015-16 academic year. Governor Terry McAuliffe announced today that student scores on the Standards of Learning (SOL) tests have improved significantly since last year. An international team of scientists, led by a Virginia Tech researcher, determined that the number of chromosomes in a cell may be a key to understanding how cancer forms and progresses – a finding that could help inform new treatments. Twenty teachers from around Virginia will get hands-on instruction on cutting-edge cybersecurity education tools and methodsJuly 27-31 at James Madison University. The recent tension between the Fairfax County Board of Supervisors and the School Board over approval of the budget for the public schools left one big factor out of the equation for funding schools–the role of state government in financing public education in the Commonwealth. For the first time in scientific history, researchers have identified specific genetic clues to the underlying etiology of clinical depression. There may be a better way to think about daily drinking habits that impact health conditions such as obesity and diabetes, according to a new study by Virginia Tech researchers. Researchers from across the world, including from Virginia Tech, plan to mimic the chemistry of the brown rot fungus to improve biorefining processes.